Wireless technology used to be something out of science fiction, but now it’s so commonplace that we rarely even think about what it is or what it can do. Your wireless network has the ability to do so much more than just connect you to the Internet. Wireless technology makes it possible to control devices remotely, connect to home security, and even change the lighting. Yet many of us aren’t taking advantage of even a fraction of these uses of Wi-Fi router technology — we may not even be positioning our router correctly in our home. How can you best take advantage of your wireless technology? 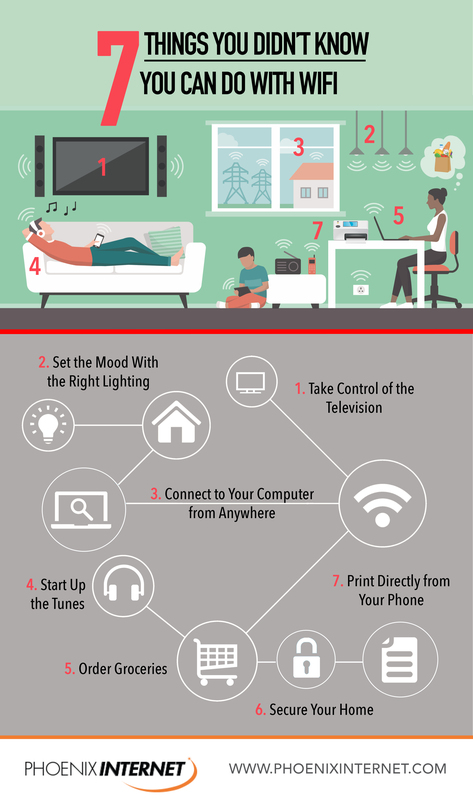 Here are some cool things to do with a wireless router starting today. Tired of always looking for the remote control? As long as your television and your phone are on the same Wi-Fi connection, you can control your television from an app. Not only can you adjust the channel and volume on-the-fly, but you can even instantly cast your streaming media from anywhere in your home. Imagine how easy it would be to take control over what’s being watched in your house instantly with a tap of a button. Of course, you do need a smart television to pull this one off, so keep it in mind next time you’re browsing for a television. Smart lights vary not only in brightness but also in color. You can control them directly through your wireless internet connection. No more having to get out of bed to turn out the lights: just tell your phone that you want them off at a scheduled time. Smart lights come in any hue and brightness. Adjust them to a low blue when you’re watching movies or let them cycle through colors during your next party. There are many options to explore when it comes to smart lighting. Your Wi-Fi connection can help you connect to your computer from anywhere, whether you need to complete work or you just want to check your desktop email. As long as your computer is remote desktop enabled, Wi-Fi can be used to connect to it from your smartphone, another computer, or a mobile device. Of course, you may also need to make sure your wireless signal is strong enough to avoid disruptions. While you wonder what to do with Wi-Fi, why not start up some music? Wireless speakers can be connected to through smartphones or smart hubs: all you need to do is tell them what to play. Even better, many smart home hubs come with wireless speakers already embedded in them, to make them doubly useful. Or, really, anything. You can make purchasing directly through your Wi-Fi connection with any smart home hub. Just say “Alexa, buy some milk” or “Siri, add cat food to the list,” and you’ll be on your way to making an order. You can also order meals from meal delivery services. It’s a convenient way to stay in on rainy days. Many next-generation security systems use Wi-Fi to connect. From smart doorbells (which let you see who is at the door) to motion-activated cameras (which can tell you when they’re set off), your security solutions can all be upgraded for better responsiveness. Your security alarms and cameras can all be controlled and viewed through your phone, so you are able to react swiftly to threats. Some smart security systems even let you alert emergency services from the app. Do you have a document on your phone that needs to be printed? With new Wi-Fi enabled printers, you can drop your printable document right into the queue. No more cumbersome wires or having to load things up on your computer; your printer can operate completely wirelessly. A wireless router is for more than just internet browsing: it can be used to enable many smart features around your home. For the purposes of entertainment, wireless routers can be used for televisions, speakers, and mood lighting. Homeowners can also improve the security of their home, make necessary purchases, and work smarter. These are only some of the things you can do with Wi-Fi. Wi-Fi powers many smart technologies and the available technology is only growing. But to take advantage of these things, you need the right wireless service. 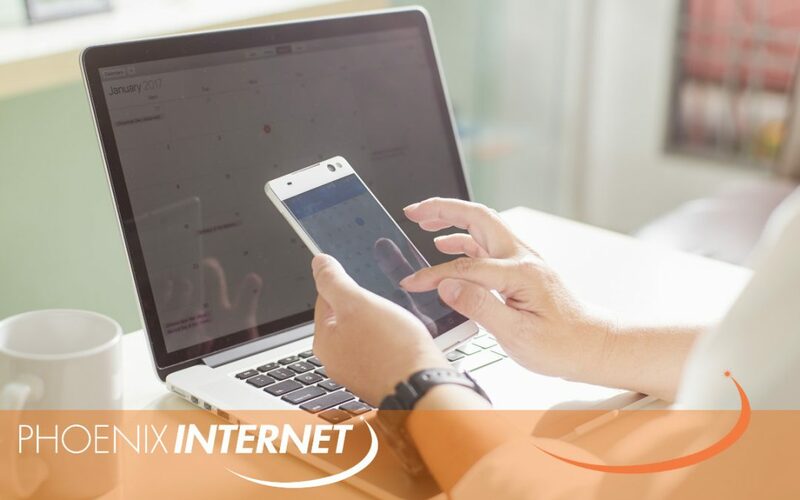 Contact Phoenix Internet to get a quote today.